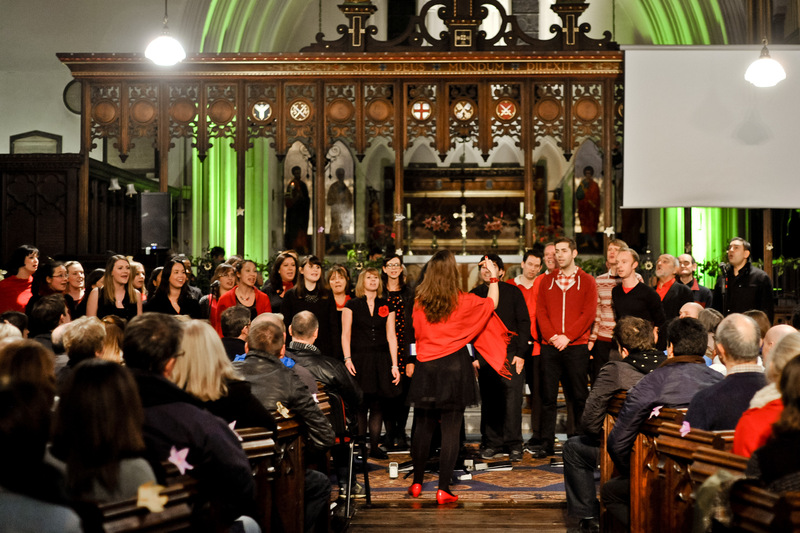 We had a fab evening on Wednesday 11th December performing alongside Victoria Park Singers at St Peter’s church in Bethnal Green. 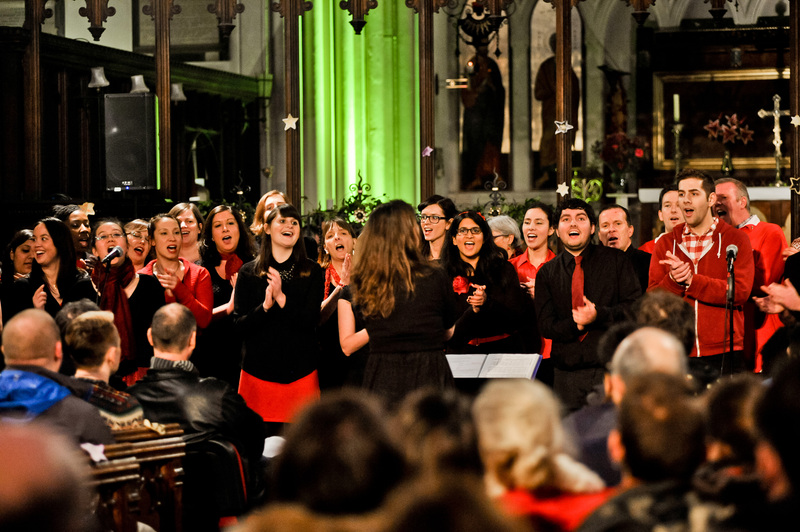 The concert was a fundraiser for the brilliant charity GrowTH which works not only to provide emergency meals and beds for homeless people in Tower Hamlets, but also in securing accommodation longer term for those in need. We are delighted to have raised a total of £1431.77 in ticket sales and donations on the night! And thanks to the generous offer of match funding from one of our member’s companies, we will be able to make a donation of over £2000 to GrowTH. Thank you to all who came, helped out, sang, and donated, to make that possible! 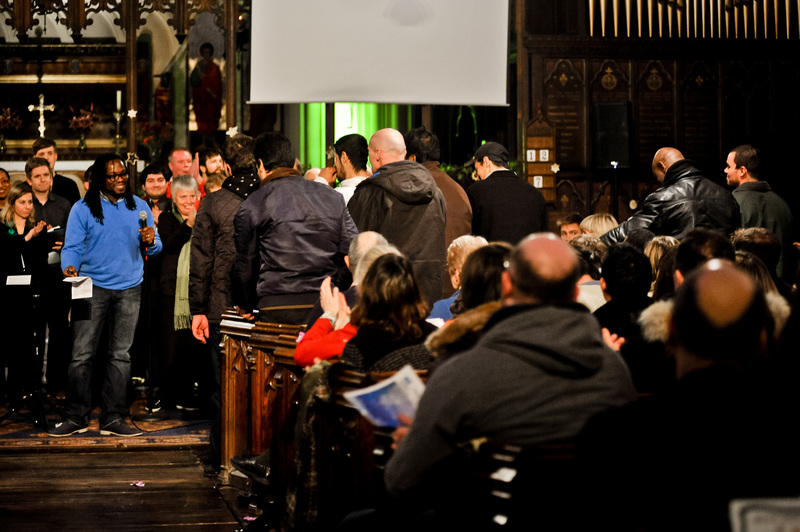 The concert was attended by those staying at the shelter that evening, along with volunteer coordinator Ryan Lynch from the Good Shepherd Mission in Bethnal Green. Before we sang our final carols, Ryan shared how GrowTH exists not only to be Jesus’ hands and feet and meet an important practical need, but also to demonstrate Jesus’ heart of compassion, treating guests not just as clients, but as individuals made in the image of God. This approach was very evident to me when I visited the night shelter a number of times in the lead up to the concert, working with some of the guests to learn those final songs to sing with us on the night. GrowTH is more than just service provision; there is a tangible sense of the “Truly he taught us to love one another” we sang of that night. It was a real privilege to have been involved with GrowTH over the last few months, and we hope to be able to do more with them in the future!